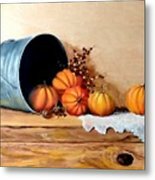 Five Little Pumpkins is a painting by Patricia Lang which was uploaded on October 12th, 2016. 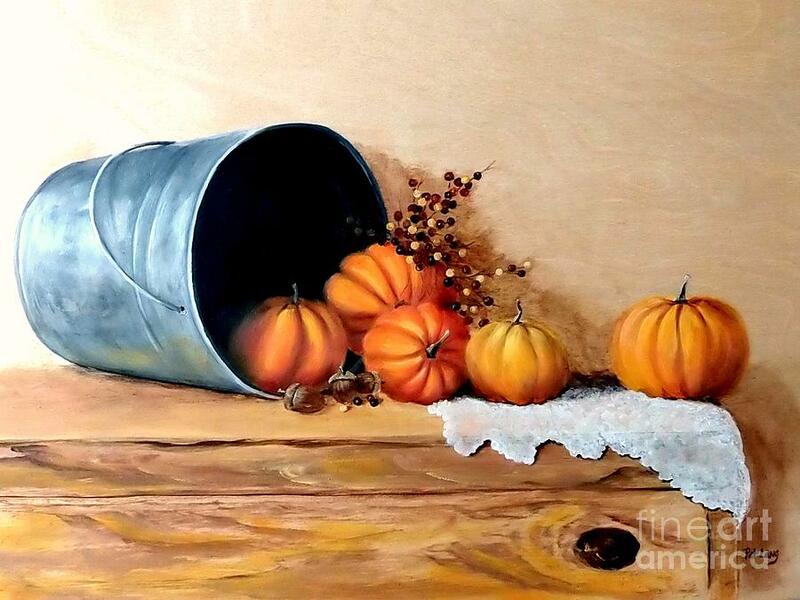 Pumpkin painting entitled Five Little Pumpkins were given to the artist, who then felt compelled to put them into a still life painting adding the berries, bucket and lace. 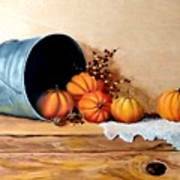 There are no comments for Five Little Pumpkins. Click here to post the first comment.